parAsara: pAtti, What are you reciting? We hear you recite this every day in the morning. 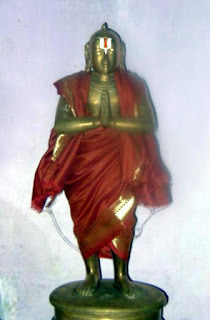 ANdAL pAtti : parAsara, This is called amalanAdhipirAn. 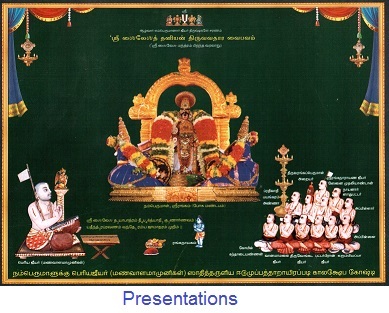 It was composed by thiruppANAzhwAr who is one among the 12 AzhwArs. vyAsa: Who are AzhwArs? What is amalanAdhipirAn? We would like to know more about them pAtti, can you tell us? ANdAL pAtti: I can certainly tell you more about AzhwArs and their works, but before that, you need to know something more about srI ranganAthan. 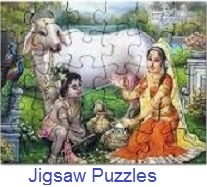 vyAsa: What is it, pAtti? parAsara: Please tell us pAtti. ANdAL pAtti: As of now, what I am going to tell you might be little difficult to comprehend. Hence, Just listen carefully, OK? 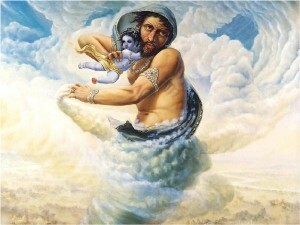 parAsara and vyAsa: OK, pAtti. 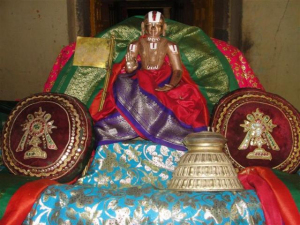 ANdAL pAtti: We already saw in previous discussions how srIman nArAyaNa descended from parampadham as srI rAma, krishNa, etc., and many archAvathAra emperumAns starting with srI ranganAthan. He is also present inside each one of us as antharyAmi. parAsara and vyAsa are now focusing on each and every word of ANdAL pAtti with utmost attention. ANdAL pAtti: Can you recollect from previous discussions why he appears in so many of these forms? parAsara and vyAsa: Oh yes pAtti! We know that he likes us all so much. So he comes down to be with us. ANdAL pAtti: Excellent! You have understood the principles very well. 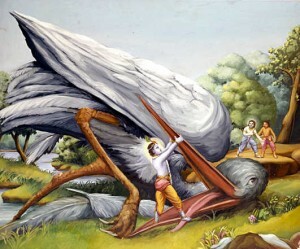 Not only he comes down to be with us, but he also wants to bring us with him to paramapadham eventually. parAsara: Why pAtti? What is so special about that place? Is it better than srIrangam? ANdAL pAtti: ha! ha! ofcourse, srIrangam is very nice. But paramapadham is his eternal abode where there is pure bliss and plenty of opportunities for us to serve him continuously. See, here, we go to temple, participate in uthsavams, etc., but at some point we have to come home and do other things. 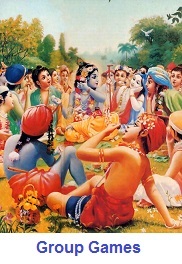 But in paramapadham there is no such break – its continuous joy. vyAsa: wow! that is the way I like it – constant bliss. ANdAL pAtti: Also, here, our body’s capacity is limited – we get tired, sometimes catch cold, fever, etc. 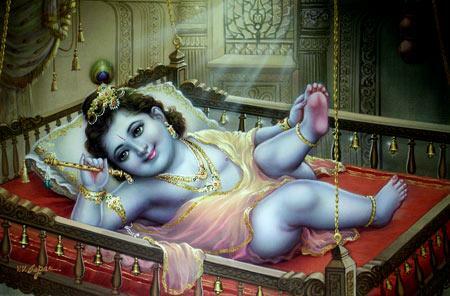 But in paramapadham, we get a divine body which has none of these troubles. 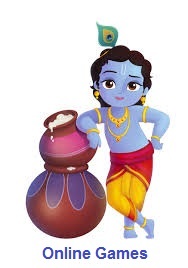 We can eternally engage in kainkaryam and still not feel tired or sick ever. parAsara: wow! that is even better. So, what does he do to bring us to parampadham. ANdAL pAtti: Excellent question. He does so many things out of his limitless mercy. Mercy means helping others out of kindness. He himself descends as srI rAma, krishNa, ranganAtha, srInivAsa, etc. But he still is unable to bring more of us with him, since many people dont understand him clearly and accept him as supreme. vyAsa: Why dont people understand him when he is in-front of them? ANdAL pAtti: It is because he is so big, so some people are envious and others are scared to approach him seeing his supremacy. parAsara: Oh OK. I am assuming this is some how leading up to AzhwArs. ANdAL pAtti: Brilliant. Yes. perumAL thought of an idea. Do you know how hunters catch deers? They first catch a deer with great effort. They then train that deer to attract other deers. When other deers become attracted by the original deer, the hunter quickly catches them all. 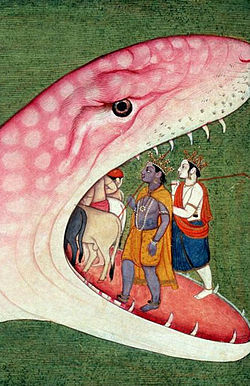 vyAsa: Yes pAtti. I have heard about the same trick being applied to catch elephants as well. ANdAL pAtti: Yes. Similarly, perumAL out of his causeless mercy to help every one, selects a few persons and give them full devotion towards him and blesses them full knowledge about himself and everything else. 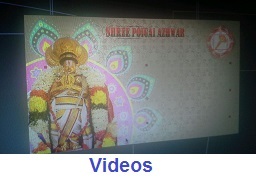 Such persons who are immersed in devotion towards perumAL are called AzhwArs. parAsara: Oh. 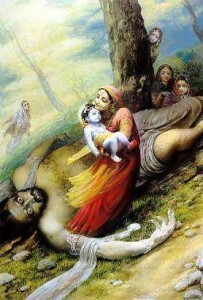 So, through AzhwArs, many become his devotees and reach him. Wow! Its a great plan by perumAL. ANdAL pAtti: Yes, this is his great mercy. Remember, one cannot become an AzhwAr by ones own effort. Only by bhagavAn‘s mercy, one can become an AzhwAr. Because one can develop some devotion towards bhagavAn with his/her own effort – but to have full devotion towards bhagavAn only, one needs to have the full mercy of bhagavAn. Similarly, one can develop some knowledge through ones own effort – but to have full knowledge about everything, only bhagavAn who has such knowledge can bless others to have that. parAsara: Yes, pAtti. We understand now. You are so good to us in explaining these principles. And see, since you said its a little bit more difficult subject, we did not even blink our eyes. ANdAL pAtti: Yes. Before I let you go and play today, I will just explain you about amalanAdhipirAn, since you first asked about it. 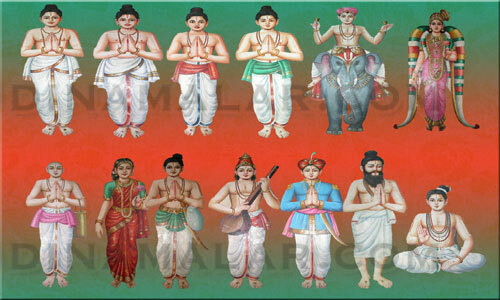 It is the work of thiruppANAzhwAr who fully enjoyed the divine beautiful form of periya perumAL. 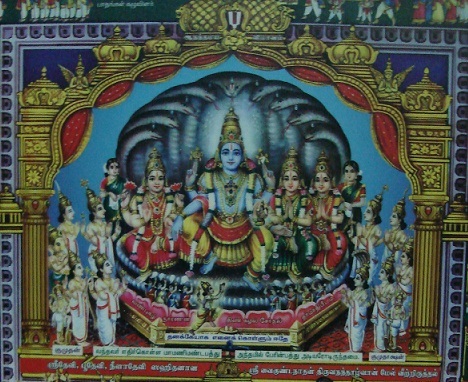 In the 5th pAsuram, he says to srI ranganAthan, you have been doing severe penance for several years, just to relieve me of my sins and help me understand you and reach you. That is where our whole conversation about the srIman nArAyaNa‘s mercy started. Now, you have a good understanding of the whole thing. Next time, I will explain you more about the AzhwArs. Now you both can play for some time. parAsara and vyAsa: Thank you pAtti. We will sure return to hear about AzhwArs soon. This entry was posted in Beginner's guide, Stories on September 16, 2014 by Sarathy Thothathri.